One of Samsung’s most recent, outstanding announcements hasn’t been a new phone or a new chipset. They’ve also showcased a complete reimagining of their user interface, called One UI. 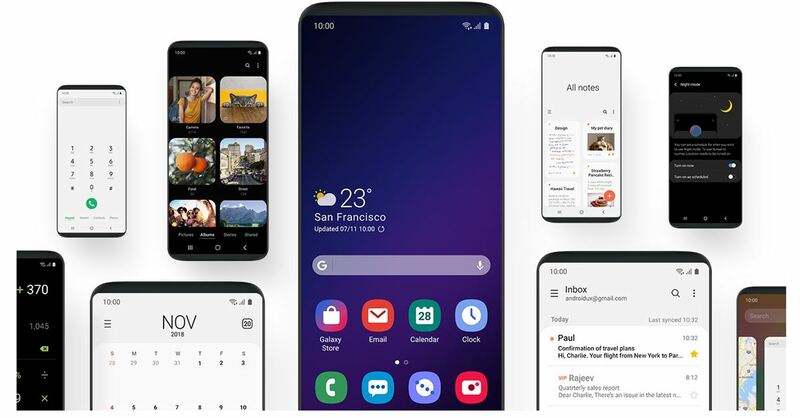 One UI is based on Android Pie and it can be considered a successor or evolution to Samsung’s current Samsung Experience. After all, it’s one of the most radical deviations from Samsung’s current design language, bringing focus on things like one-handed usage and night-time reading by bringing features like a system-wide dark mode, a new UI, and design language focused on ease of use and reachability, and a lot more things. Those wanting to try it out have been able to do so for a while thanks to our leaked alpha/beta builds, but if you want something more official and more stable, Samsung is also setting up their own beta program for the Galaxy S9 and Galaxy S9+ And here’s the good news: the beta program is starting today. The One UI beta program is now live in South Korea (via SamMobile) and the United States (credits: Max Weinbach), and it’s expected to come to Germany as well. 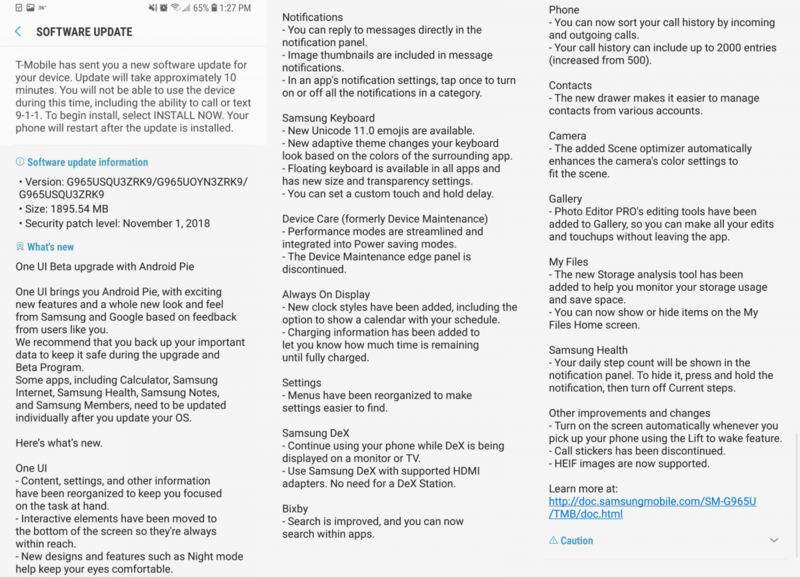 The update brings official Android Pie to Samsung’s flagship lineup together with all of One UI’s newest improvements, both in the looks department as well as all of the new features. Check out the lengthy changelog below. Android Pie beta updates should come on a bi-weekly basis starting today until the end of the year. This means that, as far as updates go, we should be getting at least 3 more beta updates before the stable update, which is expected for January, starts rolling out to consumers. If you want to try out One UI on your device, go ahead and download the newest build for your device!